Our aim is to provide a comprehensive service for the diagnosis and management of gallbladder conditions. We provide the highest level of specialized, state-of-the-art treatments. We are a partnership of specialist gallbladder surgeons; united by our area of expertise and interest. Our patients will always receive the best advice and most appropriate treatment. The Yorkshire Gallstone Clinic is a partnership of specialist gallbladder surgeons united by their area of expertise and interest. The organisation was founded and is led by two surgeons, Mr Andrew Smith and Professor Giles Toogood. They work in association with GPs, gastroenterologists, dieticians and other professionals to provide a holistic approach for all gallstone conditions. The gallbladder is a small, pear-shaped pouch about 5 to 10 cm long. It is tucked just under the liver..
We have excellent patient satisfaction; including symptom relief, cosmetic appearance and importantly their experience in the peri-operative period. Ultrasound is a non invasive test. It is performed by placing a probe onto the abdominal wall. Sound waves generated by the probe are reflected by structures in the abdomen and picked up again by the probe which can then generate a picture. This is the same principle as sonar in a submarine. Gallstones cause most of the waves to reflect and are easily identified on an ultrasound. We can also look at the gallbladder wall to see if it has been inflammed - it appears thickened. Ultrasound can also assess the bile duct. We can measure the diameter of the duct (it may be dilated if a bile duct stone is present) and can identify duct stones themselves. This is a scan that is helpful if we suspect that the gallbladder is not contracting properly (biliary dyskinesia) and is causing pain. It requires an injection of a non harmful radio-isotope that is taken up by the liver and gallbladder. A drug is given to make the gallbladder contract and the amount of isotope that is ejected from the gallbladder can be measured. The diagnosis of dyskinesia is made if only a small proportion of the radio-isotope (<30%) is secreted from the gallbladder. ERCP is an endoscopic procedure that is rarely used these days to make a diagnosis, but more frequently as a therapeutic tool to deal with gallstones that are stuck in the common bile duct. The procedure is performed under sedation, rarely under a general anaesthetic. An endoscope (a thin flexible camera) is passed via the mouth, through the stomach and into the duodenum (first part of the bowel) where the exit of the common bile duct is located. X-Rays (cholangiogram) of the duct can be performed and gallstones can be removed. If this is not possible on the first occasion then a stent (a fine plastic tube akin to a straw) can be placed to relieve the jaundice. A further procedure can then be performed at a later date to remove the stent and residual stones. The vast majority of ERCPs can be performed without complication. Occasionally an ERCP can cause bleeding, pancreatitis or rarely bowel perforation. Liver function tests (LFTs) are a blood test commonly performed when gallstones are suspected. A rise in the LFTs may suggest that a stone has passed into the bile duct or that the pain may be due to other causes apart from gallstones. MRCP is a form of Magnetic resonance imaging - again it is non invasive and does not use radiation. It is a very good technique to identify whether there are stones within the bile duct. The Sphincter of Oddi is a muscle valve which allows bile to pass from the bile duct to the duodenum. If Sphincter of Oddi dysfunction is suspected then the diagnosis can be confirmed by manometry. This is an endoscopic procedure where a catheter is placed into the sphincter via an endoscope. The pressure within the muscle is then recorded. An elevated pressure within the muscle can confirm the diagnosis. The procedure carries a small risk of causing an acute pancreatitis. The organisation was founded and is led by two surgeons, Mr Andrew Smith and Professor Giles Toogood. 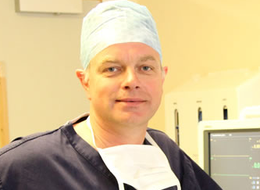 Professor Giles Toogood has been a Consultant in Leeds for 19 years and specialises in gallbladder and liver surgery. 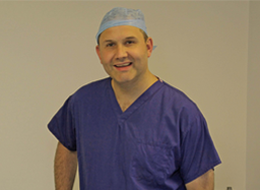 Mr Andrew Smith has been a Consultant in Leeds for 11 years and specialises in gallbladder and pancreatic surgery. We really value all our patient feedback and publish it here on our website for all our other patient to see. "Dear Mr Smith, I write to express my sincere gratitude for the care and treatment I received. In addition to the inital diagnosis of gallbladder pains you instigated further investigations that led to the discovery of fibroids which needed removing. Overall your care was excellent and I will recommend you to all my friends." I was referred by my GP to see Andrew Smith. I was extremely anxious as I had never been inside a hospital. Andrew's gentle bedside manner immediately put me at ease. He gave a clear explanation of why gallstones had been causing me pain. His detailed but simple description of surgery and what to expect afterwards removed the fear from my operation. Thank-you!" "I had been suffering from abdominal pains for a couple of years without getting anywhere. Finally I got referred and saw Mr Toogood who quickly diagnosed that my problem was gallstones. He arranged an urgent operation that was performed by Mr Smith all within a few days and now I feel like a new woman! Excellent care and service."